It doesn't hurt that they are great traveling companions too. Here they are on Santorini in the Greek Islands enjoying the red, white, and black sand beach. Our trip to Greece this Spring was filled with breathtaking backdrops like this one. 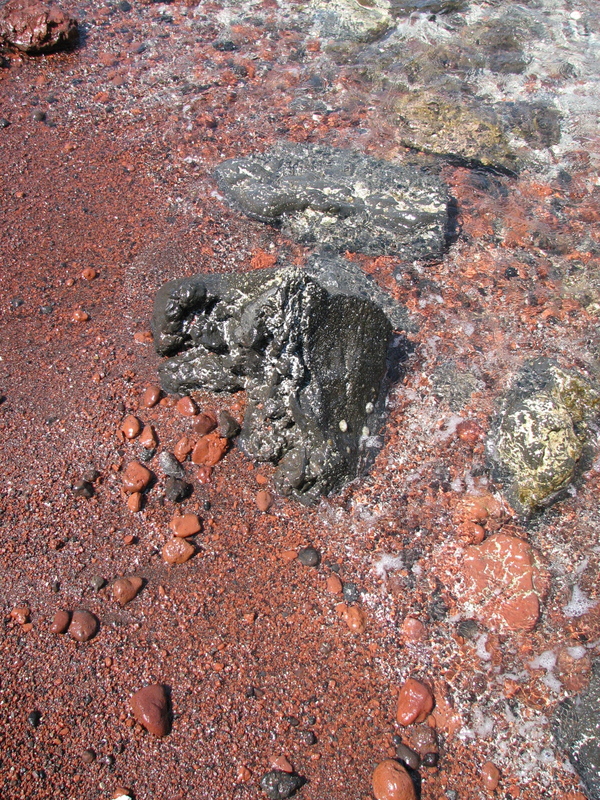 A close-up of the sand, it really was red, white and black. I have never heard of red, white and black together. Kind of amazing.